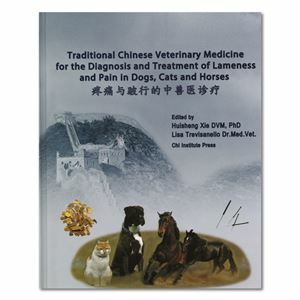 TCVM for the Diagnosis and Treatment of Lameness in Dogs, Cats, and Horses The 4 chapter book provides a comprehensive resource for veterinarians to diagnose and treat cases of lameness and pain in canines, felines, and equines. The title and theme of these proceedings matches the conference theme: Diagnosis and Treatments of Lameness in Dogs, Cats, and Horses. 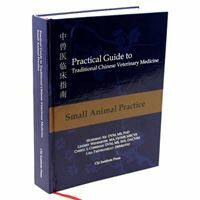 This book features the work of over 25 veterinarians from over 12 different countries. Authors share their findings along with case examples on the subject of diagnosing and treating lameness and pain management. 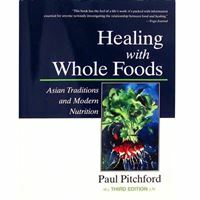 What Results Can We Expect Treating Chronic Joint Arthritis with Permanent Gold Bead Acupuncture? Canine Coxofemoral Luxation: Can We Integrate TCVM? 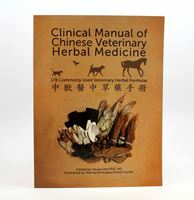 Pleasure Horse Diagnosed with Pemphigus and Successfully Treated with Herbal Formula "Blood Heat"
This book is a collection of the proceedings from the 17th Annual International TCVM Conference, hosted at the Chi Institute in Reddick, Florida in 2015.